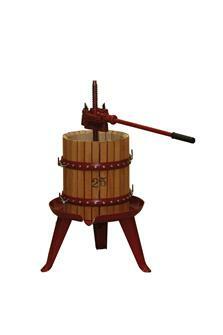 Mechanical ratchet apple, grape and fruit press, diameter 20 cm, 9.5 litre basket. Apple, grape and fruit press in stainless steel, ratchet mechanism, diameter 40 cm, 65 litre basket. 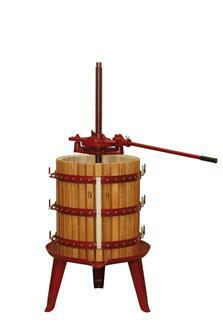 Mechanical ratchet apple, grape and fruit press, diameter 35 cm, 45 litre basket. 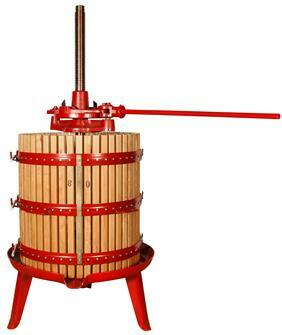 Mechanical ratchet apple, grape and fruit press, diameter 60 cm, 212 litre basket. Apple, grape and fruit press in stainless steel, ratchet mechanism, diameter 30 cm, 30 litre basket. 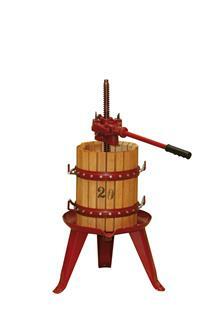 Mechanical ratchet press for apples, grapes and other fruit, diameter 25 cm, 20 litre basket. Apple, grape and fruit press in stainless steel, ratchet mechanism, diameter 20 cm, 9.5 litre basket. Apple, grape and fruit press in stainless steel, ratchet mechanism, diameter 50 cm, 128 litre basket. Apple, grape and fruit press in stainless steel, ratchet mechanism, diameter 25 cm, 20 litre basket. 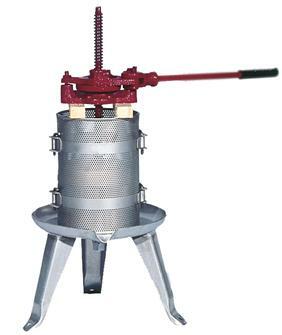 Mechanical ratchet apple, grape and fruit press, diameter 45 cm, 90 litre basket. 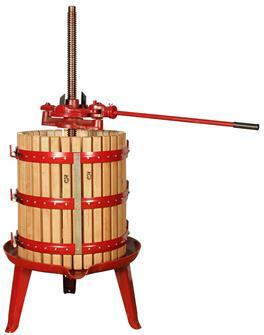 Mechanical ratchet apple, grape and fruit press, diameter 70 cm, 327 litre basket. Apple, grape and fruit press in stainless steel, ratchet mechanism, diameter 35 cm, 45 litre basket. 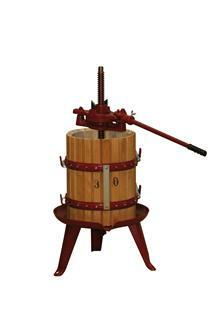 Mechanical ratchet apple, grape and fruit press, diameter 30 cm, 30 litre basket. 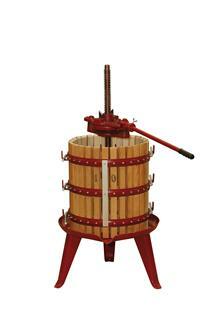 Mechanical ratchet apple, grape and fruit press, diameter 55 cm, 166 litre basket. 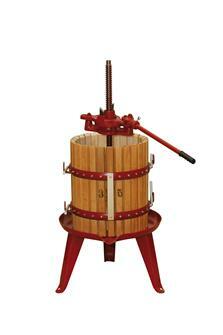 Mechanical ratchet apple, grape and fruit press, diameter 50 cm, 128 litre basket. 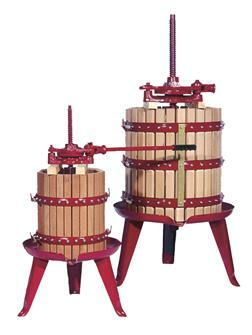 Mechanical ratchet apple, grape and fruit press, diameter 80 cm, 477 litre basket. 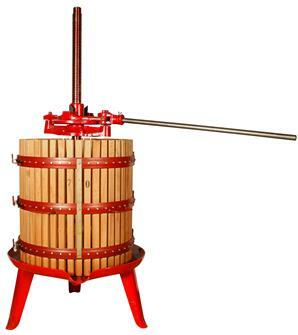 Mechanical ratchet apple, grape and fruit press, diameter 40 cm, 65 litre basket.